Editor's Note: Many times responders are considered only those who go in and mitigate the emergency incident. Rarely is thought given to those who are called after the initial response to bring closure to the families of victims. 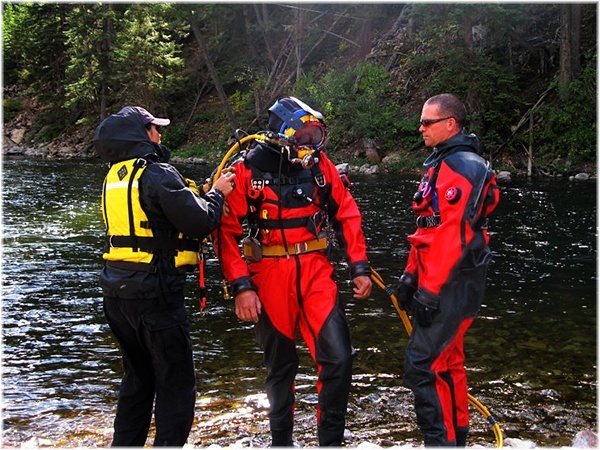 The US Water Rescue Dive Team is an all-volunteer organization of highly specialized divers who are called to respond to water rescue incidents in support of agencies who do not have an organic team. Equally often, however, they receive calls when they are the families’ (or agency’s) last resort, when the search has been called off. 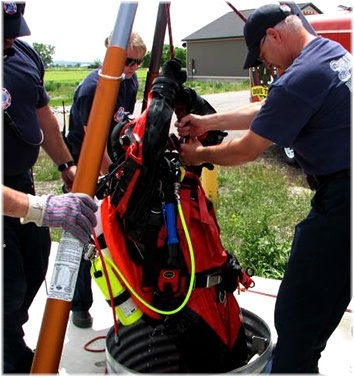 Many locations across the US do not have established water rescue/recovery teams, or the conditions are outside of the local team’s expertise. Typically this would be due to the depth, cold, search area, or bottom composition. A common misconception with the general public, non-divers, divers, and even dive Instructors is that a “Certified Recreational Diver” who has his RESCUE DIVER Certification is qualified to perform Public Safety Diving Services. Sadly, this is an extremely dangerous misconception. Far too often that belief can lead to serious injury or death of divers who have taken on work they are not certified nor equipped to complete. A Police Dept. would not hire a college graduate, show him how to shoot a pistol, and make him a Police Officer. So why does it happen in Public Safety Diving? Lack of public education! Recreational training teaches a new diver the very BASICS of diving (enough to get by). Most of the time it is taught in ideal conditions (warm water, clear water, free from any dangers). It is taught with the idea that the diver will be diving in similarly ideal conditions with no stress and no dangers. Likewise, a Rescue Diver Certification teaches a recreational diver self-rescue and buddy rescue in crystal clear, warm water. The Rescue Diver Course that most people are familiar with has nothing to do with Public Safety Diving. When people think of a Rescue Diver, however, they typically imagine someone who does Public Safety-type of diving: underwater rescue, underwater body recovery, evidence recovery, etc. Public Safety Divers find themselves diving in cold, dark, polluted, moving, black, and dangerous waters. Barbed wire, trees, glass, jagged pieces of metal, and entanglement hazards (just to name a few) all pose dangers to Public Safety Divers. What would a diver do if he/she could not see, all of a sudden became entangled, was bleeding from a cut, and was running low on air? Typically, that diver will PANIC, which adds to the distress and forces the diver to lose control, which in the underwater environment can end in tragedy. 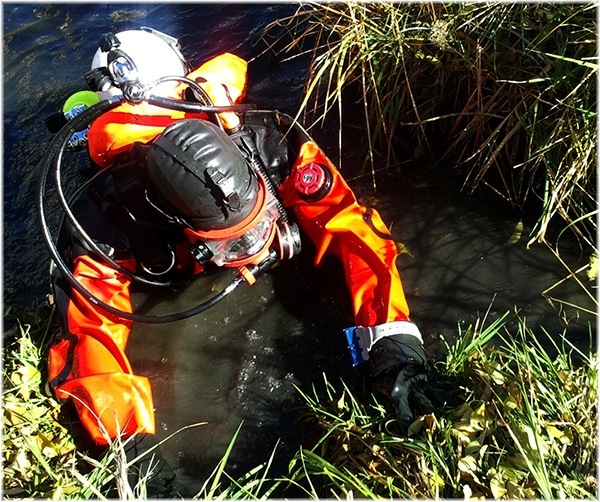 Public Safety Divers are trained to dive in the worst conditions, trained and equipped to respond to entrapment or entanglement dangers, and trained in proper evidence recovery. There are typically two types of teams. Paid teams are usually part of a Fire Department, Police Department, Sherriff’s Office, Military, or Federal Agency. Typically though not always, to be on a paid dive team you have to spend a few years on the department or agency before being allowed to apply for a position on the dive team. Once on the dive team, it is usually a collateral duty in addition to your normal duties. Then there are volunteer teams. Volunteer teams across the country can be very different in many aspects. Some volunteer teams require the member to supply some (or all) of his/her basic equipment, which can be very costly. In that case a person needs to consider if they are willing to make an investment/commitment not only in time but financially. There is soon to be an Accreditation Program launching for Public Safety Dive Teams, and we at USWRDT are hoping to meet those requirements. Public Safety Divers have to be trained in underwater crime scene investigation and evidence collection. If an Officer responded to a homicide scene where someone had been shot inside a house, one of the first things that the Officer would do is to secure the scene. If investigators found the murder weapon (pistol, for example) sitting on the back porch, it would be documented, photographed, mapped, etc. After everything was completed, typically only one person would physically handle the pistol, and that person would be wearing gloves. Now, if that same pistol was thrown out the back door and bounced into the pond in the back yard, that pond is now part of the crime scene. Far too often is agencies throw out all the rules for investigating a crime scene when something ends up in the water. They call up anybody who has a scuba tank or pair of hip waders and have them cross the secure perimeter, then retrieve the object with no crime scene preservation. Public Safety Divers know how to preserve the evidence, whether it is a weapon, other evidence, or a body. This is critical to preventing the loss of key evidence that was underwater, getting cases thrown out of court for mishandling of evidence, and worst of all...diver fatalities. Just as with any Public Safety job, this job is not for everyone. About one-third of the calls that are made to the USWDRT are made by families. The very difficult and heartbreaking mission of victim recovery brings closure to the family and the community affected and is a critical mission for the USWRDT. Three summers ago the team responded in the Wyoming mountains to recover an 18-year-old who had fallen into a river during a family trip. The mother vowed to stay on that mountain until her son was recovered and she could bring him back home. A person considering this type of work (especially on a volunteer level) has to love people, love water, and be spiritually, mentally, and physically tough. If a person does not generally love being in the water, they will not train nearly enough. 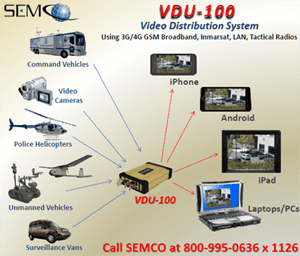 The USDRT will deploy anywhere requested, if funding is available. So we take all calls, but make a deployment decision on a case-by-case basis. Unfortunately, this year alone we have had to turn down about 10 requests due to lack of funds. So far in 2013, we have been limited to about 500 miles (one way) in travel. If the incident is further than that, we have to ask for expenses, and some of our team members have to take time away from family and try to get off work. We hope to find funding someday that will allow us to never have to tell someone, “Sorry, we want to help, but we are unable.” We are frantically seeking sponsors to help continue our efforts. We are also in the process of developing Satellite Teams across the US that will help improve our response availability. If someone wants to join USWRDT, we start by having them fill out an application that can be found on our website: www.waterrescue.org. To contact USWRDT, call (406) 591 - 4649. Calls are taken 24 hours a day. Shane Weinreis is the Dive Officer and President of the USWRDT. With over 25 years of dive experience, he brings 16 years in Law Enforcement, 18 years as a SCUBA Instructor, and 16 years as a Dive Team Leader for numerous dive operations and swiftwater rescue operations experience to lead the team. His deepest black water dive to date is 350 feet, and he is passionate about what he does. Shane sat down with At the Ready to share his mission and his agency.